Doolin has an excellent nine hole pitch and putt course located along the ocean front. Lahinch is widely regarded as one of the finest links courses in, not just Ireland, but the entire world. The Old Course has been described as the ‘St. Andrews’ of Ireland, and can prove a stiff test for any golfer. 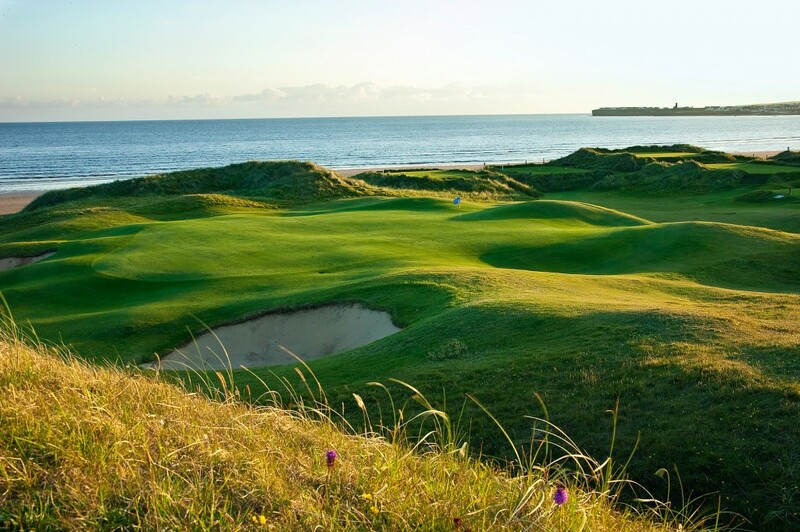 Lahinch’s famous Championship Golf Links is just 20 minutes drive from Doolin. 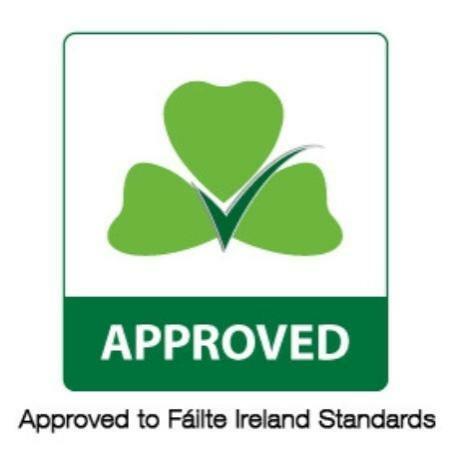 The owner of the cottages, TJ Kerins is a member of Lahinch Golf Club and as a member can get reduced green fees when accompanying his guests by prior arrangement. Doolin Cliff Walk provides a guided walk from Fisherstreet in the Doolin Village of County Clare, along the sea cliffs leading to the Cliffs of Moher. The walk will be guided by local historian and farmer, Pat Sweeney who will follow a trail route along the coast to the Cliffs of Moher. The spectacular walk takes you through Pat’s own farm which takes approx. 3 hours. Travel this spectacular route with Pat who will tell you local stories and the history behind his vision for making this walk possible. The route, along a paved path is an easy walk with the sound of the ocean in your ears, for approx 5 km along the coast. The visitor will have the privilege of seeing the natural beauty of the area and hearing the interpretation of past and present life from the perspective of a guide who has an enthusiasm and passion for the local area. Take a boat trip from Doolin to the mystical Aran Islands which are stunningly beautiful and feature cliffs, incredible rugged landscapes, ancient forts and other prehistoric relics. 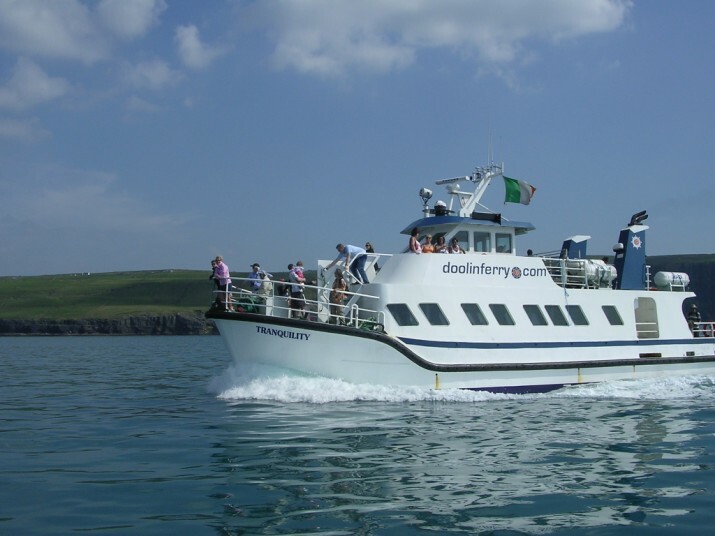 Travel to the islands, from Doolin (the shortest crossing point), by passenger ferry, in less than 30 minutes. The Doolin Cave System was first explored in 1953 by the University of Bristol Speleological Society. 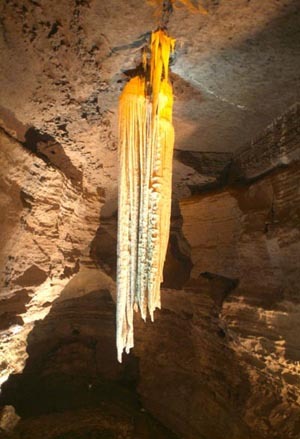 The system is over 10.5 kilometres in length, incorporating many active underground rivers flowing through the limestone. It’s main entrance, the Fisherstreet Pothole is centrally located in the village. These cave systems may be explored unaccompanied only by experienced potholers, however local guides can take first time cavers on this magical underground journey. Doolin is also home to Poll an Ionain, the cave with the largest and most impressive stalectite, which according to the Guinness Book of Records is the longest free hanging stalectite in the world at 7 metres in length. Ailwee Cave is 2 million years old and is now a developed showcave where visitors can be guided to explore the hibernation chambers of long extinct brown bears and other amazing underground sights. The cave is located 20 minutes drive away. 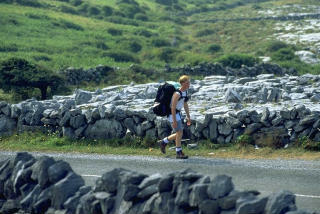 Doolin is centrally located on the Burren Way marked Trail. The Burren Way always captivates its visitors in that it involves a hike along the spectacular Cliffs of Moher with views to the Aran Islands. The trail is dotted with archaeological remains and many of the Burrens rare flora can be seen on route. 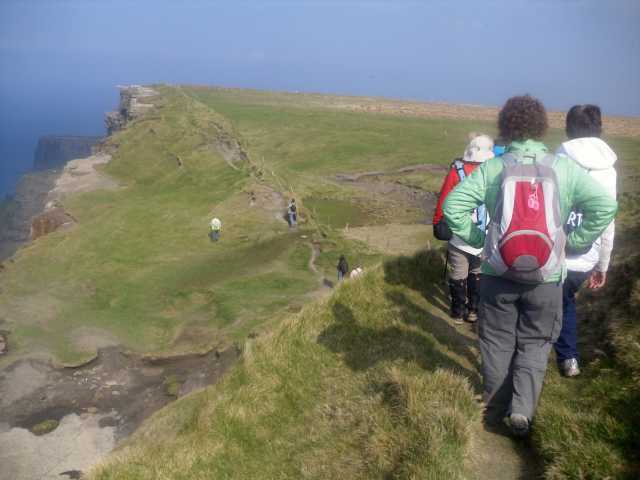 Doolin makes an ideal base for walking enthusiasts. The Burren is an ideal region to explore on horseback. 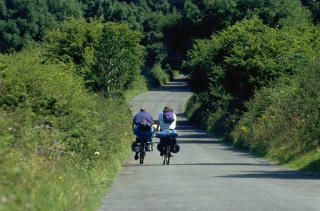 There are many options including lake and beach trails, and also the ancient Burren Highways or “Green Roads”. Day-long, three-day and week-long trails are available. This has become a very popular activity in Doolin in recent years and the area boasts some of the best diving on the West Coast of Ireland. In the 1980’s a network of sub-marine caves were discovered off Doolin Point. These have been named the Green Holes of Doolin and some 1250 metres have been charted. Snorkelling may also be enjoyed in the clear Atlantic waters around Crab Island. The Clare coast line is famous for it’s shore angling which can be done at Fanore, Doolin, Liscannor and Lahinch. Deep sea angling can also be arranged locally.